Tiki and Derek at TeenMaze at an event in Chattanooga, TN. My latest interview is with Tiki Finlayson, co-founder of "1N3", a non-profit organization which she co-founded with her son Derek Yates. 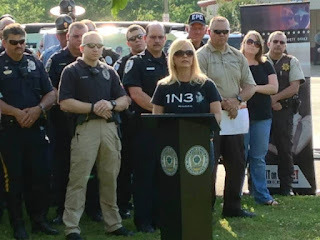 Please read more about the beginnings of "1N3" and how you can be a part. I left her answers in RED because she says some things which will hopefully impact you to act by becoming a part of this organization or spreading the word. You and your son Derek are co-founders of 1N3, I know you’ve mention to me how it all started. I know it all began with the loss of your son Kevin because of a drunk driving crash. From what I remember, you actually started thinking about it while he was still in the hospital. Did you think it would become an international movement the way it has? No, our focus was just spreading awareness of this 100% preventable crime. We didn’t know how to start, but we knew our community was where to start. And it just grew from there. Our first year anniversary of Kevin’s death we chose to bring worldwide awareness and bring attention to how many people are impacted. That statistic is where our name came from, “one in three (1N3) people are impacted by drunk driving”. That 1st International 1N3 Day we have 127 cities in 34 states and 21 locations in 15 other countries participate in our event. Even though Kevin is no longer here, it seems like he’s living on through 1N3 and of the mission statement that your organization has. I know we talked about how he was an organ donor and that 4 of his organs were donated which saved 4 lives. I think I already know the answer to my next question, but would you encourage others to do the same and why? The only reason I ask why is because some people would never to think to donate their organs. In the darkest moment of my life I knew Kevin would want to give in the end. He was a simple man with few thing. He was always giving his things away to those who he thought needed it more. So donating of himself was the most selfless gift he could give in the end. When Kevin was 23, two years before the wreck, he had a friend, 17 years old, who collapsed at work and later died. Kevin came to me after the funeral and said, “Mom, I think Blake is like a Superhero because he saved lives. If anything ever happens to me, I’m going to be an organ donor. I want to save lives too!” As I was telling Kevin how proud I was for making that choice, I never imagined I would have to do it for him. He was an organ, bone and tissue donor. He save four lives with his organs and has enhanced the lives of many others. We got to meet his heart recipient, Melvin, on July 7, 2012. I had never been more proud of Kevin than I was while listening to his heart beat in this wonderful man’s chest! We have a beautiful relationship now, and have a larger family because of of Kevin! Kevin was honored for his gifts on the Donate Life Rose Parade Float as the representative for Tennessee on New Year’s Day, January 1, 2016. He is my SUPERHERO! What advice would you give to someone who is considering to drive after they had a few drinks? JUST DON”T! Call a friend, a cab, or stay where you are! It’s that simple and easy to avoid the dangers and consequences that could destroy a human life. What else would you like to accomplish with it? Have you thought about writing a book? My goal is to reduce the statistic, and be sharing our story I believe we are doing that by changing one mind at a time. I can’t be everywhere at once but a book can. I have been working on a book for a while, so stay tuned! 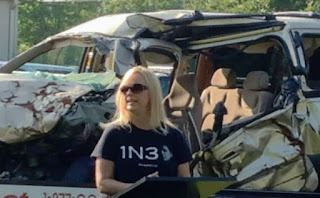 Tell me more about your Annual International 1N3 Day” which is in honor of someone who has been injured or killed by drunk driving and how the readers can be involved. It’s every year in August, right and other countries were involved in it as well as over 120 cities in the US? It’s as simple as gathering as a private or public group, at the set time in your time zone, and participating in a ceremony to remember those who have died and honor those who have been injured due to a drunk driver. This is not a demonstration or protest, but a time to celebrate the lives of our loved ones. 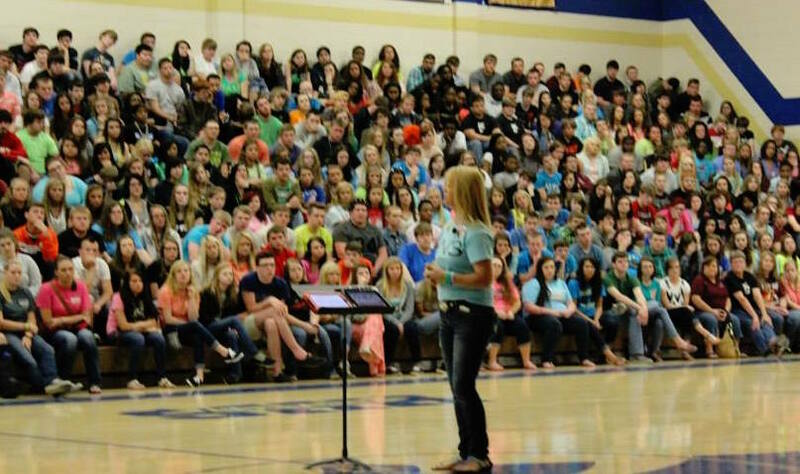 I would love to hear about your upcoming event in Chattanooga “Choices Matter Teen Maze” which is on March 8. How can the readers be a part of it and what is 1N3’s part in it? If they can’t attend this event, how can someone become involved in 1N3? 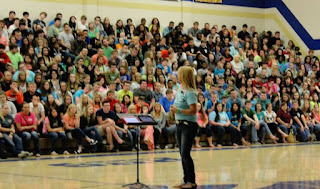 Email me at teenmaze@iam1n3.org and they will receive the needed information. Are there any other upcoming events that you would like to share? That is determined by your definition of “supporter”. In terms of financially, we are currently funded by individuals who see the importance of our mission. We are also funded through donations from places where we speak. We have had no grant funding, but not for lack of trying. What I do can be very emotional and draining at time. Sharing Kevin’s story and reliving the tragedy over and over on a regular basis can take its tole. My family and close friend are my supporters. They are there to encourage me when I need it. I could not do this without them. Do you have a go to quote or quotes that inspire you? If so, please share one with me. I love sharing quotes with my readers. I love crafting and creating art and useful items out of trash. I love to ride my motorcycle, (which I don’t get the opportunity as often as I would like). At the age of 49 I was in a pageant, which was a lifelong dream! We endeavor to educate the public on how their choices matter, through real life stories of the impact of driving under the influence and the ripple effect that follows. In addition, we encourage forgiveness as part of the healing process, to those who grieve in the aftermath of this 100% preventable crime. Thank you, Maria! I appreciate you putting the word out! You're welcome ! So glad to help spread the word.